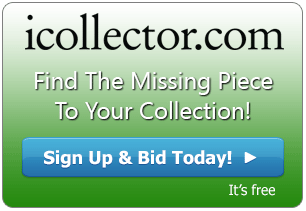 A unique and prized auction is running on iCollector.com from the company Haute Vintage. Up for bidding until January 7th at 3pm Eastern Time are over 230 pieces of vintage clothing and accessories. There are many pieces from the 50s and 60s, shoes, cologne, and much more. The buyers premiums have been waived for this auction in order to deliver a special value for everyone. Opening bids range from only a few hundred dollars right down to under a hundred. Reserves are set to sell and offer great buys for all collectors. A featured highlight early in the catalog is at Lot 4. 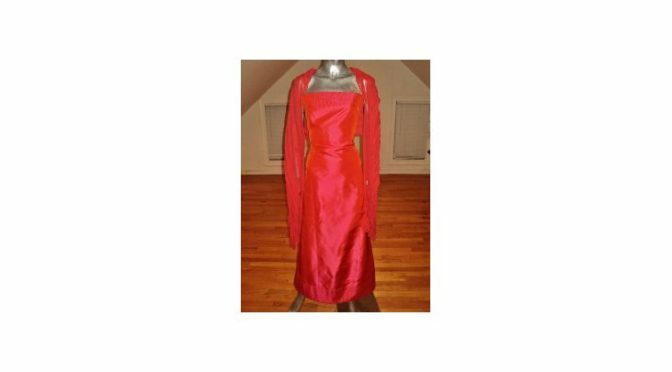 Up for bidding is a vintage Carolina Herrera Couture silk shantung gown with a large fringe pleated shawl. This is a rare find and an original beauty that is strapless in shimmering red silk. The gown has a magnificent train that has detailed stitching in a wide band at the bottom. In addition, there is a large wide silk chiffon with a pleated and fringed shawl. This gown was only worn at runway shows and is in fantastic condition. The size is small and made in Spain. A photo and full details are in the online catalog with bidding opening at $300. Lot 393 is another stand out worth considering. This vintage outfit is a 1950’s Modern Jr Gale and Gale gold hand painted skirt and top ensemble with a green belt. The whole fabric is painted with amazing floral design and hand painted with gold leaves. This is truly a collectors’ dream and will not be seen again. In very good vintage condition with a waistline of 26 inches. Bidding opens at only $200 and this is a must see for collectors in the online catalog. The entire catalog is available online with full photos, descriptions, and ready for bidding now. Bidders can place their right up until the closing time of 3PM Eastern Time on Saturday, January 7th, 2017. The auctioneer is prepared to answer any questions about the pieces up for auction. With no buyers premium and amazing opening bids, this is a great way to start off the year at auction for those who love fine fashion.